Despite the ubiquitous claim among CEOs that employees are their top priority and talent is their No. 1 asset, it's actually quite rare for HR veterans to reach the top. "It's not a typical career path to the CEO job," says John Wood, vice chairman of the executive search firm Heidrick & Struggles. "It happens more by exception." What’s the best ladder to start climbing if you want to reach the corner office? Conventional wisdom would point to Finance, Sales, or Even Production. You’ll almost never hear anyone recommend HR as a good place to launch a CEO bid. When production was key to business success, most business heads came up from the production function with deep knowledge of their products, manufacturing processes and supply chains. Even today, engineering and major manufacturing companies tend to value these capabilities while selecting their CEOs. Over the years, in most other industries, the focus of the executive in the corner office shifted from managing supply to generating demand and growth. People with extensive sales and marketing experience who knew the company's markets and had worked with its customers were handed charge of the business. With the advent of the mega corporations, the key growth strategy shifted to mergers & acquisitions (M&A), with CEOs spending most of their time buying companies to fuel growth and selling parts of their businesses to?. People in the finance function who were typically involved in constant deal-making were obvious choices for the CEO slot. They had analytical capabilities, knew where and how to raise capital and were well networked in the M&A world of analysts, bankers and lawyers. What about the HR folk? All companies needed them, but largely to hire and manage the employees. 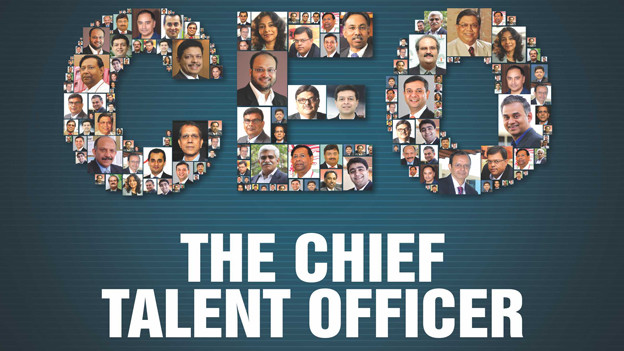 Hardly anyone saw the HR Head as a potential CEO. Those few from the HR function who made it were probably picked because they were considered business savvy. Rarely were they given the keys to the corner office for their achievements as an HR leader. Sadly, HR folk too have often lacked the ambition and drive to get to the top of the organisation chart that is displayed by their peers in other function groups. The business world today is different. We are in the knowledge age, where the quality and capabilities of its people determine how successful the business will be. It would be logical to expect that someone who understands how to attract, develop and retain the best people would be the best equipped to lead the business. Company boards should be calling in HR leaders while looking for potential CEOs. This ability unfortunately, is a necessary but not a sufficient qualification for an HR leader to become a CEO. HR folk need to rise above the operational and transactional work that occupies most of their time and become more strategic. They need to see the company talent pool and the way it aligns with business needs, not just for today but also tomorrow. The latter requires them to have a strategic view of where the industry is headed, competitive landscape and the emerging global trends. While peers in other functions may have a headstart on this front, the HR person should have a deeper understanding of how these changes will play out with Talent pools both inside and outside the company. Where will people head, what new skills will they need to acquire and what would drive them. The last is especially true as a very different cohort of millennials joins the workforce. HR needs to embrace technology more aggressively. They need to stop seeing technology as just as a tool to automate their processes but as the underlying fabric on which the modern business runs. HR also needs to give-up its fear of numbers and data analytics for these are the essentials of the fly-by-wire cockpit where the CEO of today sits. If they can do so, they will not only inherit the kingdom but also rule well. HR professionals would do well to learn from the experiences of people like Mary Barra, the CEO of General Motors or closer home Santrupt Misra director of group HR at Aditya Birla group, was also recently given the reins of the group’s Carbon Black business as a CEO.